Thanks to the extraordinary support of Motiva, nearly 40 medically underserved Southeast Texas women received free preventative health screenings, clinical breast exams and mammograms from the Gift of Life. Motiva Enterprises, LLC is one of the nation’s largest refineries with a rich, regional history dating back to the 1901 discovery of oil at Spindletop. Noted for its dedication to safety and responsibility, the plant extends its mission of goodwill beyond the boundaries of company gates to advance the entire community. 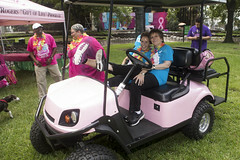 Since 2000, the refinery has annually sponsored Gift of Life van sites, making available more than 550 free mammograms and clinical breast exams and helping extend the lives of five women, whose breast cancer was detected at Motiva-sponsored screenings and were navigated through treatment. A true champion of the cause, Motiva has also extended its support to the Gift of Life Prostate Cancer Program, helping to provide free prostate cancer screenings to thousands of medically underserved men. With the support of Motiva and other generous donors, the Gift of Life has helped extend the lives of more than 275 Southeast Texans who have been diagnosed with breast or prostate cancer and treated through its efforts. In 2010, Motiva was awarded the Gift of Life’s prestigious Corporate “Spirit of Love” Award to honor its outstanding community leadership and commitment to the Gift of Life’s mission of providing quality healthcare for those who are unable to access it themselves. At this year’s Motiva-sponsored van site at the West Side Development Center, the Gift of Life expanded its women’s healthcare services by enlisting the Port Arthur Health Department as providers in the deliverance of preventative healthcare screenings, including blood glucose, blood pressure and cholesterol. Education regarding breast cancer, skin cancer, tobacco prevention and nutrition was also provided to encourage healthy lifestyle practices that reduce the risk of disease. By uniting with the Gift of Life, Motiva had an invaluable impact in the lives of those it serves, greatly increasing cancer awareness and reducing health disparities across the region. Last year, the Gift of Life provided nearly 2,300 clinical breast exams and mammograms to medically underserved women, with an additional 430 diagnostic mammograms, 433 diagnostic ultrasounds and 32 biopsies for women who obtained abnormal results. These efforts diagnosed breast cancer in 18 women since January 2015, all of whom are being navigated through treatment by compassionate Gift of Life case managers and also comforted and encouraged by the Pink Power Network, the Gift of Life’s support group that meets on the third Thursday of each month throughout the year. Thanks to the extraordinary support of Entergy Texas, nearly 40 medically underserved Southeast Texas women received free preventative health screenings, clinical breast exams and mammograms from the Gift of Life. Entergy Texas is a company that dedicates resources to empower its employees, retirees and stakeholders to “give back” to communities and make a difference that will improve quality of life. Entergy’s spirit of altruism is evident in its nearly 20-year endorsement of Gift of Life initiatives that save lives in Southeast Texas through preventative healthcare, education and cancer screenings for medically underserved individuals. Getting a mammogram is a wonderful experience at the Gift of Life. Everyone treats you with care and concern. I’m so happy to have this test completed and know that I have done what I can to live a healthy, happy life. 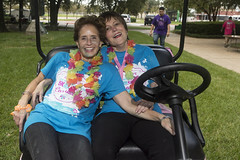 For 15 years, Entergy Texas has annually sponsored Gift of Life mobile mammography van sites, making available more than 600 free mammograms and clinical breast exams and helping extend the lives of seven women who were diagnosed with breast cancer at Entergy-sponsored sites and provided access to treatment. In 2001, Entergy Texas was recognized with the Gift of Life’s prestigious Corporate “Spirit of Love” Award for its outstanding community leadership and advancement of the Gift of Life’s mission to save lives by eliminating barriers to care that include access to physicians, affordable insurance and the complexity of navigating the medical provider system, intensified by differences in culture and language. A Fortune 500 corporation with approximately 13,000 employees, Entergy epitomizes the power of giving, providing $15.5 million in grants in 2015 to improve the quality of life in the communities in which it operates. For seven consecutive years, Entergy has been named one of the 100 Best Corporate Citizens by Corporate Responsibility magazine. The company was also nationally honored by Points of Light Foundation as one of the top 50 most civic-minded corporations of America. With the support of Entergy Texas, Avon BHOP and other generous donors, the Gift of Life has helped extend the lives of more than 275 Southeast Texans who have been diagnosed with breast or prostate cancer and treated through its efforts. Thanks to the extraordinary support of Winners for Life, 34 medically underserved Southeast Texas women received free preventative health screenings, clinical breast exams and mammograms from the Gift of Life. 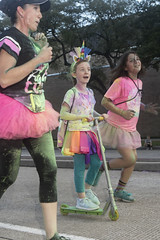 Winners for Life was formed in Port Arthur in 2003 by Father Larry Gutierrez as a small subcommittee with Sacred Heart – Saint Mary Parish’s education program. The group strives to educate women about breast cancer, raise funds to help provide free Gift of Life mammograms and serve as a support system for women battling the disease. 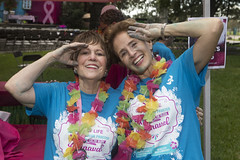 Previously under the direction of the late Winnie Frelow, EdD, a beloved breast cancer survivor who served as chairperson and passed away in 2013 after a courageous battle with pancreatic cancer, Winners for Life represents several religious denominations and has blossomed into a committee of more than 50 members. Current chairperson Elvira Narcisse furthers Frelow’s mission to positively influence individuals affected by breast cancer through her tireless dedication. 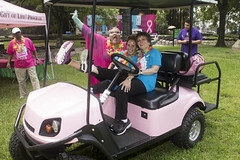 For more than 10 years, committed Winners for Life members have participated in grassroots fundraising for the Gift of Life breast cancer program – hosting bake sales, garage sales and silent auctions, as well as a yearly luncheon and seminar, which is attended by more than 250 individuals. 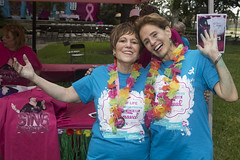 To recognize Winners for Life’s invaluable support, Gift of Life has designated the organization as a sponsor of the UTMB Mobile Mammography Van at which nearly 60 medically underserved individuals have received free clinical breast exams and mammograms during the past two years. Winners for Life was also honored with the Gift of Life’s prestigious Georgie Volz Shine a Light Award for its extraordinary commitment to illuminate the lives of those battling cancer. With the support of Winners for Life, Avon BHOP and other generous donors, the Gift of Life has helped extend the lives of more than 275 Southeast Texans who have been diagnosed with breast or prostate cancer and treated through its efforts. With the generous support of Cheniere Energy, Inc., 36 medically underserved women received free Gift of Life clinical breast exams and mammograms on the UTMB Galveston mobile van that was conveniently located at Procter Baptist Church in Port Arthur. Expanding its women’s health services in collaboration with the Port Arthur Health Department, Gift of Life also offered primary care tests for blood pressure, cholesterol and diabetes, as well as education on skin cancer, nutrition, tobacco cessation and HPV. Cheniere representatives Cindy McGee and Paula Bothe attended the van site, demonstrating the company’s commitment to making this lifesaving initiative available to Port Arthur residents. Cindy, a breast cancer survivor, has a heightened understanding of the vital importance of the Gift of Life’s screenings and diagnostic tests with navigation to cancer treatment for at-risk women who cannot afford medical insurance. Clients consistently expressed appreciation for the services of the Gift of Life and the sponsorship of Cheniere for bringing these critical screenings to their hometown. Cheniere Energy, Inc., is a Houston-based energy company, specializing in liquefied natural gas exports. Deeply committed to the communities where its employees live and work, Cheniere dedicates its resources to the critical needs of the region. In the past year, the company has provided more than one million dollars to worthy causes, partnering with organizations and initiatives that support education, medical care and economic development. Thank you, Cheniere Energy, Inc., for helping the Gift of Life save lives! Last year, the Gift of Life provided nearly 2,300 clinical breast exams and mammograms to medically underserved women, with an additional 430 diagnostic mammograms, 433 diagnostic ultrasounds and 32 biopsies for women who obtained abnormal results. These efforts diagnosed breast cancer in 8 women, all of whom are being navigated through treatment by compassionate Gift of Life case managers and also comforted and encouraged by the Pink Power Network, the Gift of Life’s support group that meets on the third Thursday of each month throughout the year. Thanks to the extraordinary support of Chevron Phillips, nearly 40 medically underserved Southeast Texas women received free clinical breast exams and mammograms from the Gift of Life. Chevron Phillips is a worldwide chemical corporation that believes real benefits can be gained by establishing effective relationships within the community. Encouraging organizations that promote private enterprise, health services, education and civic progression has been an investment that has paid great dividends, engendering an internationally-respected reputation founded upon the company’s loyalty and goodwill. I know that it is crucial that I take care of my health. The opportunity to have a mammogram means the world to me. Thank you to the Gift of Life and Chevron for providing free mammograms to so many women. Chevron has built an enduring legacy of compassion, donating funds to worthy causes and encouraging employees to make a similar positive impact. Since the company’s inception, the corporation has invested more than $15 million (and countless volunteer hours) in communities where its employees live and work. Each year, Chevron Phillips sponsors a UTMB mobile mammography van site, which has provided nearly 200 free clinical breast exams and mammograms for medically underserved women. The company’s commitment to the Gift of Life’s prostate cancer programs has helped the organization provide primary care tests and prostate cancer treatment for medically underserved Southeast Texas men. Through this initiative, the Gift of Life has provided treatment and support for 69 men diagnosed with prostate cancer at its screenings. Thanks to wonderful supporters like Chevron Phillips, the Gift of Life has been able to extend the lives of more than 275 Southeast Texans who have been diagnosed and treated through its efforts. 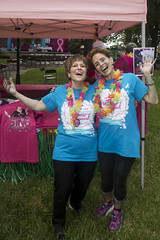 Gift of Life staff and volunteers recently completed the Avon 39, a 39-mile walk in Houston to end breast cancer. Each one raised a minimum of $1,800 to participate in the walk that funds breast cancer research, awareness and education, as well as provides assistance for families currently battling the disease. Avon is a generous supporter of the Gift of Life. Nearly 35 medically underserved Southeast Texas women received free clinical breast exams and mammograms from the Gift of Life. Low-income, underinsured and other marginalized populations often need target, customized approaches to help them obtain regular breast cancer screenings. The Gift of Life is empowered to offer these lifesaving services within seven Southeast Texas counties through the support of programs like the Avon Breast Cancer Crusade. Thanks to extraordinary funding provided by Avon, the Gift of Life can link medically underserved women with breast health education and screening services. Gift of Life clients benefit from support services that bridge disparities limiting the deliverance of lifesaving care. From childcare, transportation and translation assistance, each client is individually navigated through the organization’s corridor of compassionate care. Upon the diagnosis of breast cancer, Gift of Life clients are provided a case manager who accompanies them through their healing journey and facilitates services to alleviate the emotional, financial and medical pressures accompanying every cancer diagnosis. Since inception, the Gift of Life has diagnosed nearly 200 medically underserved Southeast Texas women with breast cancer and navigated them into treatment. Though the charitable support of Avon, the Gift of Life can continue providing these essential services to local women in need. Avon’s dedication to this cause illuminates its commitment to helping enhance healthcare services for individuals who cannot afford medical care or insurance. This form will be filled out to receive more information about free screenings.